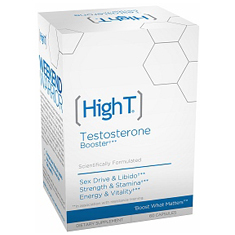 To say the testosterone booster High T has mixed reviews might be an understatement. “I’ve used High T for 6 months now and I am convinced it has delivered on all claims,” said Keljen4327 on Amazon.com. It’s nothing new to see a testosterone booster with mixed reviews. Generally speaking, testosterone boosters work well for some and not for others. Naturally, you want to find a supplement most likely to raise testosterone. Let’s find out if High T is that supplement or if you should look elsewhere. Does High T Cause Side Effects? The ingredients in High T are safe for the most part, although you should consult a doctor before using if you are allergic to any ingredients, have a medical condition, or use prescription medication. How Do You Get the Best Results from High T? Take 2 capsules daily with water. For best results, exercise and a healthy diet are recommended. The label says to take High T for 8 weeks for maximum results. This indicates you may take more than a few weeks to see results with High T.
What Is the Customer Consensus on High T? 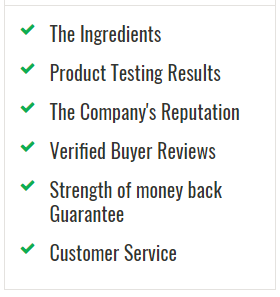 On GNC.com, 10 people gave High T an average of 4.6/5 stars. The scores are similar on Amazon.com: 22 people gave it 3.7/5 stars. Enough people have rated High T to give a fairly good idea of its success rate. Based on customer reviews, it looks like High T works relatively well for the majority of customers. However, some customers saw little to no results. Is High T a Good Value? High T costs $24.47 on Amazon.com and $49.99 on HighTProducts.com and GNC.com. For a month’s supply, the Amazon price is a good deal. High T is liked by the majority of customers and comes for a fair price. There’s no guarantee it works for everyone—but it may be worth the risk.